Proper handling and restraint are essential to the welfare of captive animals, allowing them to be examined, groomed and treated in ways that contribute to their optimum quantity and quality of life. The aim of the book is to prepare future or current veterinarians and veterinary technologists, technicians/nurses, and assistants to be able to handle animals more safely and gain the confidence of animals and their owners. In turn, they will be able to instruct owners in proper animal handling methods, reducing the risk of physical injury or mutual infectious diseases. Throughout the book, the author emphasises that each animal is an individual and each handling environment provides its own advantages and disadvantages: handling an animal safely, humanely and efficiently requires practical knowledge of the species’ normal behaviour. 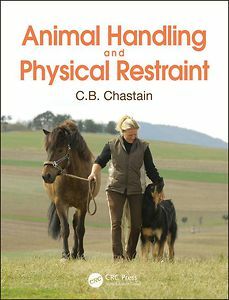 This is explored in detail in each of the species-based chapters, which cover proper handling of domestic household and laboratory animals, as well as farm and ranch animals where safe handling aids the producer in both humane practice and greater profitability. After reading this book, the practitioner or student will be versed in the most basic part of the art of veterinary medicine: the safe handling of animals.